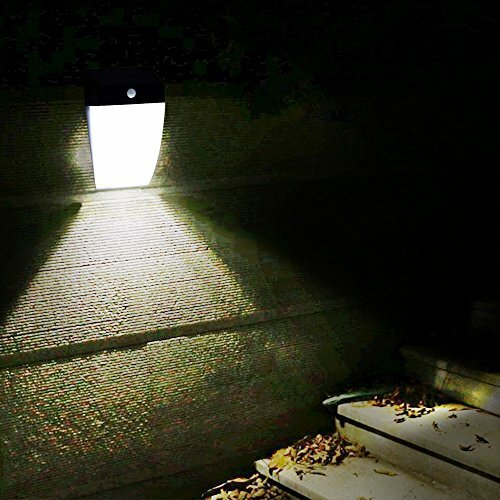 Solar powered LED night lights equipped with 36 powerful LEDs, brighter durable and waterproof, provide longer working life. 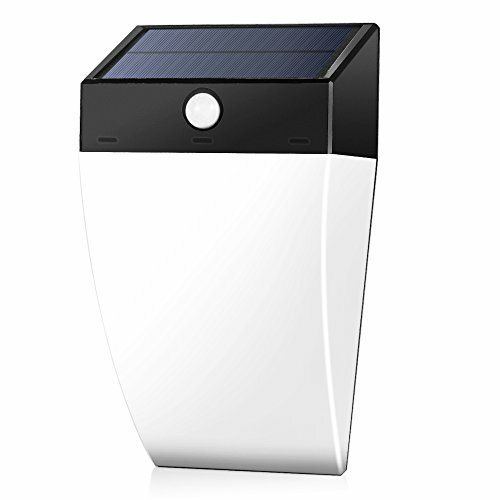 Motion sensor: PIR motion sensor with 120 degree and 3-10 meters range; night sensor with auto on at night, off at sunrise, friendly and energy saving. 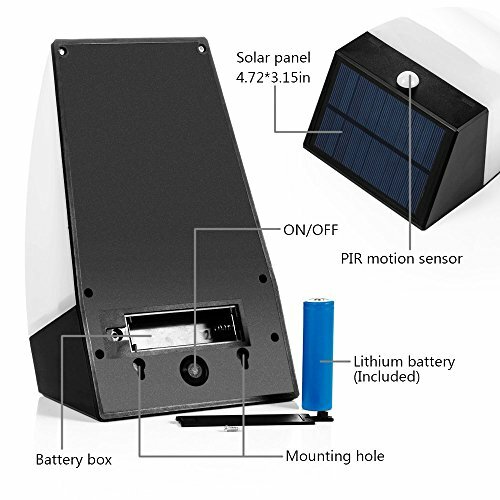 Rechargeable battery (3.7V 2200mAh) built in, auto recharged by sunlight in daytime and store power for night, lighting up your way with security and safety. Upgraded version with ON/OFF button on the back instead of pinhole switch, easy to operate. Also no wiring trouble, easy to mount with included screws and expansion pillar-hinges. 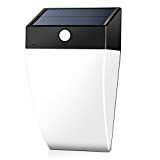 Advanced silicon solar panel provides high charging efficiency and good photoelectric conversion; Stylish design, great decorative outdoor lights for garden patio yard aisle pathway etc. 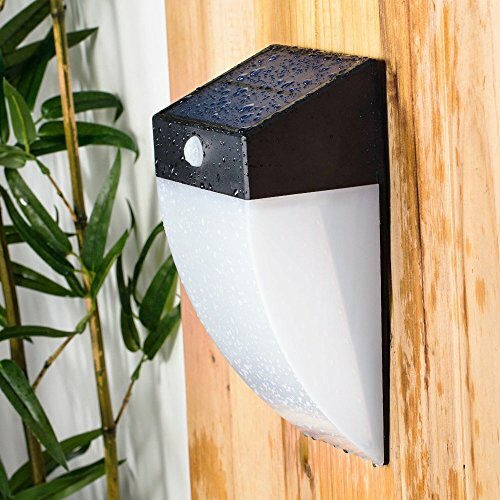 Outdoor 36LED Solar Wall lights: max brightness illumination in darkness! 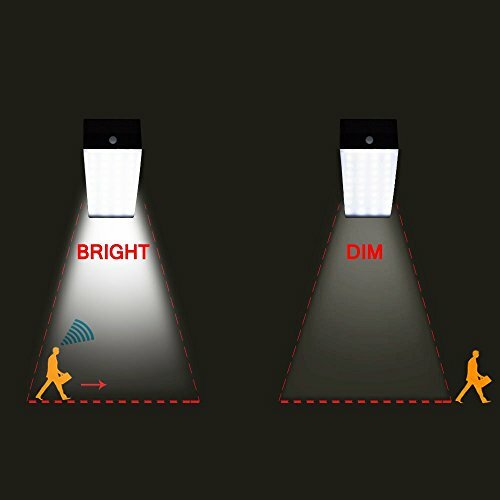 Auto turn to Dim light when in darkness or at night; Auto turn off when in daytime or bright area. Bright light comes when motion activated at darkness. 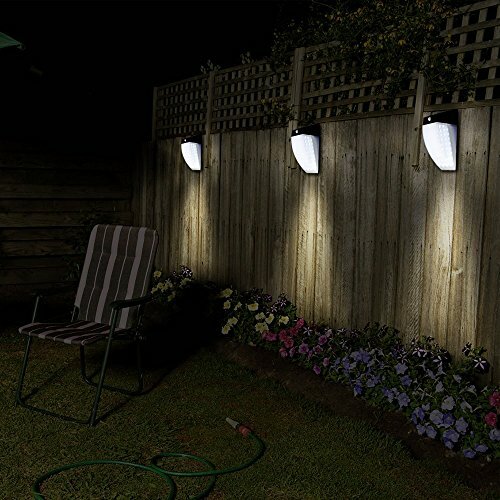 Our energy-efficient solar lights also are glory and charming decoration on your driveway patio and garden. 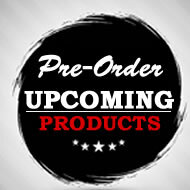 They are a must-have for everyone! Safe, Waterproof and energy saving, provides longer working life in all weather conditions. Please posit it at where solar panel can get direct sunlight. Please fully charge the device at first use and keep the solar panel clean. If light blink, it may lack of power. It needs charging, or it will stop working soon. If there is no good sunlight, it's normal that takes longer time to fully charge. 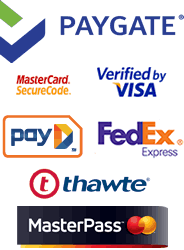 Quality Guarantee Please kindly note that we take responsibility for our items. 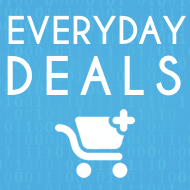 Any problems, please feel free to contact us via Amazon messages. Enjoy the light!